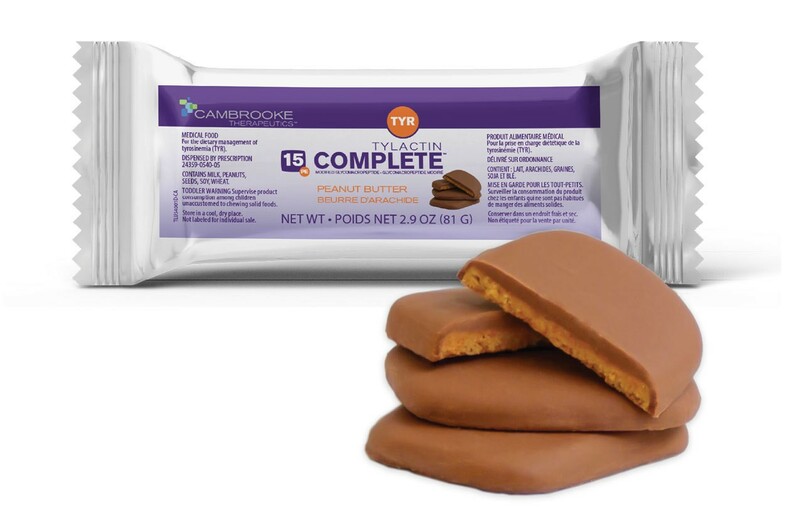 Cambrooke Therapeutics announces Tylactin™ COMPLETE Bars for the dietary management of Tyrosinemia (TYR). 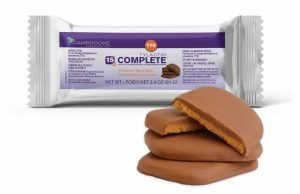 AYER, Mass–Cambrooke Therapeutics Inc., a leader in therapeutic nutrition for inborn errors of metabolism and ketogenic diet therapy, announces the launch of Tylactin™ COMPLETE Bars, a nutritionally complete medical food, available in a convenient portable format, for the dietary management of Tyrosinemia (TYR). Tylactin with GMP is made from a natural whole protein derived from whey called glycomacropeptide (GMP). Cambrooke Therapeutics was the first company to provide individuals with Tyrosinemia natural whole protein medical foods—Tylactin RTD and Tylactin RESTORE. Now, Tylactin COMPLETE Bars provides an additional option for individuals struggling to consume their formula or those people who need a compact, on-the-go, and great-tasting formula. Each Tylactin COMPLETE Bar package contains three segments, each with 5g protein equivalents. This novel bar format is available in a delicious chocolate/peanut butter flavor. Tylactin COMPLETE Bars are an ideal addition to any TYR diet program for use at school, as a snack, or any time on-the-go convenience is desired.